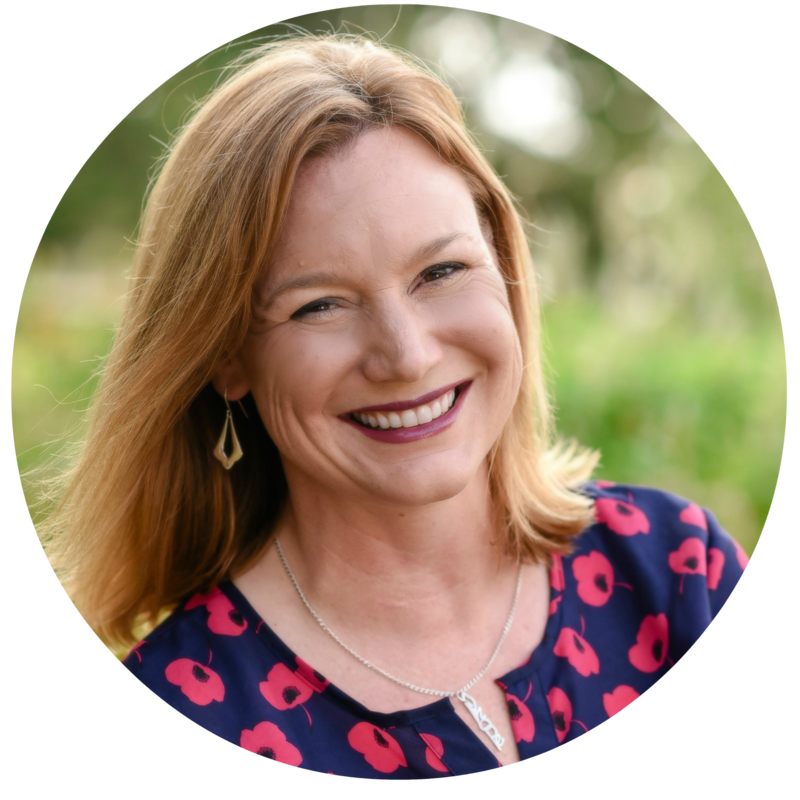 FREE 5 Day Mini-Course to Create a Prayer Habit You'll Love (and keep)! Want to experience more power in your prayer life? Wish you could be more consistent in daily prayer, but you just don’t have the time? Too often prayer and quiet with God get pushed to the side in our busy lives. Yet, daily time with God is what you need MOST to avoid overwhelm, stress, and worry. Prayer provides comfort, strength, and guidance for your life, so why aren’t you making time for it? Develop A Prayer Habit You'll Love! Through this 5-day, email-delivered, mini-course, you'll develop a plan for developing a lasting daily prayer habit that will unlock the power of prayer in your life. Get clear on WHY daily prayer is a priority in your life. Define WHEN you'll pray, finding time you didn't know you had in your busy schedule. Find WHERE you'll pray and make it ready and inviting. Outline HOW you'll get started, so you make the most of your time. Develop a prayer habit you'll love (and keep)! Take the challenge and you will discover something about yourself that maybe you needed to let God have. You will hear God more clearly. Your prayer life will grow. You'll be thankful for the time you spend in prayer. The best part of this challenge for me is having a structure and a format to follow. It makes such a difference putting time aside to have fellowship with our amazing Heavenly Father. Prayer makes a difference, not only for the people and situations we pray about but also for ourselves. It is good to get into the habit of regularly speaking and listening to Him. It has encouraged me to be more consistent and believe that daily prayer is worth the effort!! You won't regret giving this challenge a go! I would say give this challenge a go. You won’t regret it! It gave me a more consistent and productive prayer life & I am developing a deeper relationship with God. I discovered that I was already "doing" a lot of the things, but I had NOT given any thought to the "WHY" question. First and foremost I would encourage folks to take the time to work through the daily prayer plan and to write out answers. It's like writing in a food journal. It makes it a commitment. I still have a ways to go but I find that what I have written challenges me each day as I meet in my personal prayer closet. Applying the plan of why, when, and where really make sense. I have a plan for my business but never thought of putting a plan for my prayer life. I am truly in a better place than where I was because of this challenge. The challenge helped me so much. As I am a new believer, I didn't know how to pray or where to start. As English is not my first language, the challenge was done simple but powerful to understand everything. Learning not to leave my house and face the world without a prayer. I can see this will have a huge impact on my life. You won't regret joining this challenge! I would tell someone considering starting the challenge is that they will never regret it and you will never get enough of the challenge. It's had a great impact in my life because NOW I know why, how and when to pray. The best part is that now I can plan and squeeze some few minutes in prayer and Bible study and I have learned to listen for the Lord. I love how you broke it down in days so you could focus and develop the new techniques. It has truly changed the way I spend my morning. It's making me consistent in my prayer life and at the same time devoted to prayer. My prayer life has improved and I feel like I can be in the presence of God all the time. Straightforward and short so I can do it even with my busy schedule! It doesn't take a lot of time and it helps you get into a habit of prayer. I liked the way it was structured around the questions Why, When, and How we pray. It helped set up my daily prayers. I have been sharing this challenge with family and friends. It is worth the time! It will help you grow closer to God. If you are a new Christian, it will help you get started with your prayer life and if you have been a Christian for a while, it will help you refocus and grow stronger in your walk with Christ. This challenge made me think about the importance of having a dedicated place for prayer and a dedicated time. For me, these two things, in particular, were crucial because before that I had not realized how much it can help to have a dedicated place and time to be more consistent in prayer. I would definitely recommend this challenge to anyone who feels the need to deepen their prayer life and to make it more quality. This plan works! That it was "do-able"....5 days is a perfect plan! The "My Daily Prayer Plan" worksheet was especially helpful. And I loved the Scripture and practical applications and breathing exercise and ending with the Lord's Prayer. :-) Thank you. It was easy and understandable. Take your time and go through the challenge. Do it more than once if necessary. I would recommend everyone to start this challenge. It helped and still helps me much to improve my prayer life. Sometimes we need some guidance and structure when trying something new. This challenge provided that for me. I now feel more confident and comfortable talking with God. Develop Your Prayer Habit TODAY! What are you waiting for? Join this FREE course today and start transforming your life through the practice of daily prayer! 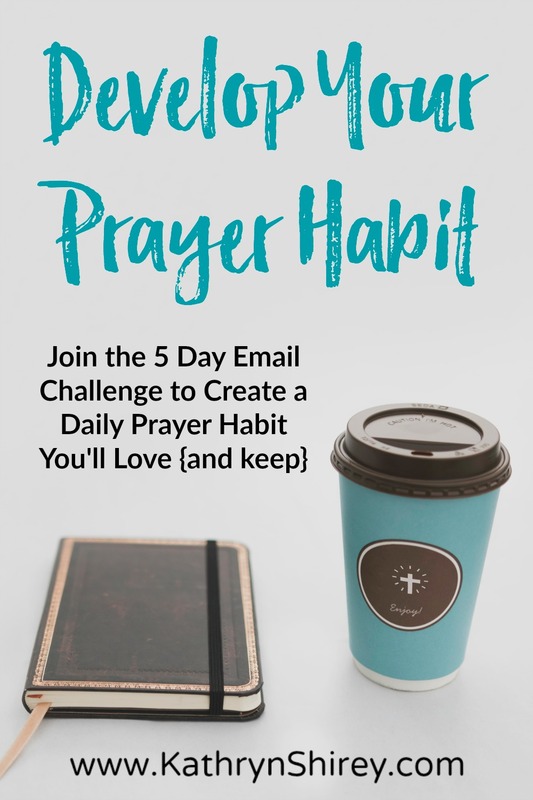 This 5 day email-based challenge will only take a few minutes each day, but will provide the blueprint for a prayer habit you'll love (and keep). Get clear on WHY prayer is important to your life. Decide WHEN and WHERE you'll pray each day. Create a plan for WHAT and HOW you'll pray.